The Hammers committee would like to express their thanks to all those who made the journey to last night’s fans Get Together at the Orsett Hall Hotel. Almost 200 Hammers fans took part in the event, which saw Jon Cook and Community Liaison Manager Mark Sexton provide updates on the current campaign to find a location for the Hammers back in Thurrock and this was followed by a general Question and Answer session. Jon Cook commented on the club’s current situation including the serious impact on the club’s finances that resulted from the forced end of season move away from the Raceway to Rye House. 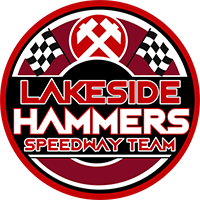 He did, however, strongly emphasise that final payment plans are currently being put in place and expressed his thanks to Warren Scott and Steve Jensen at BMR for all of their help in trying to relocate the Hammers at the end of the 2018 season. Mark Sexton, who is taking the lead on the new stadium campaign, supported by Jon Cook and the Hammers committee, then provided an overview on his recent meeting with the developers, London Strategic Land (LSL), who purchased the Raceway site in 2017. 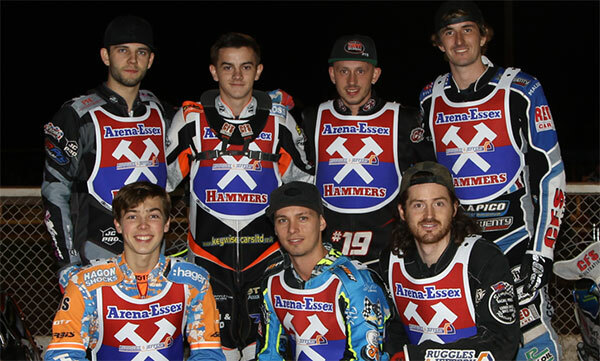 As outlined in a previous press release regarding the meeting, London Strategic Land confirmed that a speedway track within the existing Arena Essex complex is not included in their current planning application but they have expressed their support for the Hammers desire to relocate back to Thurrock. Any potential financial support or compensation that the Hammers might be able to access from the developers, will accrue via Section 106 payments which LSL will negotiate with Thurrock Council and the club will be engaging with both Officers and Members of the Council to make our case for inclusion in Section 106 distributions. It was emphasised, however, that a key to securing Section 106 monies is to find the site required within the Thurrock Borough. 1.The club has been invited to present details of the online petition & its associated campaign to Thurrock Council’s main cabinet in January or February 2019. This will place both the club and the campaign on the council’s agenda such that it is recorded officially in Council minutes and ensure that club gets an official response. 2. Thurrock Council are due to write their new borough-wide Sports Plan and our situation is providing some impetus to this. Mark is also in discussions with a number of other local sports teams, including Thurrock and Thames Rugby Clubs, to explore the potential development of a sporting hub in Thurrock. A number of options regarding land were mentioned and discussed at the end of the event, which will be explored further. Any additional suggestions of potential land options from fans are always welcome –please contact Mark using the contact form at the bottom of the campaign section of The Hammers site . Commercial Manager Russell Keetch outlined that number of companies and clubs have indicated that they will be in the least providing vocal support for the relocation campaign, including: M Shuttlewood Ltd, Asbestos Solution Providers Ltd, Global Environmental Consultancy Ltd, Electriserve Ltd, Essex Works Skills Ltd, LCS Ltd, Ruggles and Jeffery and Southend Utd FC. Further details and updates with be provided. Jon Cook, who emphasised that he is committed to helping the Hammers secure a new location within Thurrock, discussed the success and importance of the Hammers Petition, which currently stands at 2542 signatures and 1255 individual comments. The possibility of a name change in the future to The Thurrock Hammers was met with approval from all present. The brand name “Hammers” will always remain. The suggestion for a nomad Hammers team to run in a number of National League challenges in 2019 was also met with approval and is an option that the Committee will explore further. The club also plan to set up a Thurrock Hammers fans trust, to help maintain and support the campaign. Further information will be provided on this shortly. It was agreed that a number of activities and social events, ranging from organising the usual bus trip to Cardiff through to quiz nights and more will be arranged to maintain continuity and to help keep all fans up to date and engaged with the campaign. The club expressed their gratitude to local media outlets including BBC Radio Essex, BBC London, Time 105 FM, Radio Essex, The Romford Recorder and The Thurrock Independent for their support for the campaign. The Hammers Media Manager, Ian Smalley, is working on developing this outreach network further. Around of applause was requested by fans in attendance for Stuart Douglas in appreciation of all of his commitment and efforts for the Hammers. As mentioned, all ideas from land locations, specific contacts, areas of expertise, get together events and beyond are very welcome from fans – a specific Campaign section of the Hammers site has been created to hold all related campaign information and contact details. Please click here to get in touch. Finally, the Hammers would like to thank our Social Committee for funding the event, The Orsett Hall hotel for providing the Pavilion venue, and ReRun Productions for providing background race clips from their 2018 Hammers season DVD.